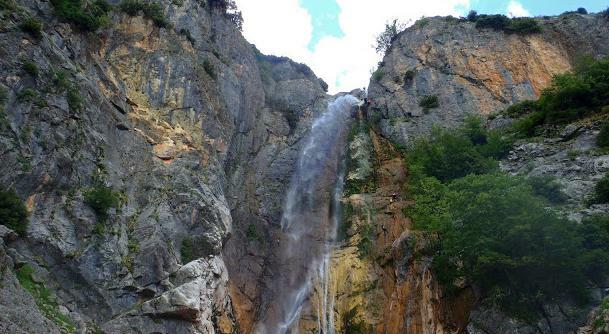 The waterfall of Arta is located in the village Katarraktis (=waterfall) and it’s obviously the landmark of the area. 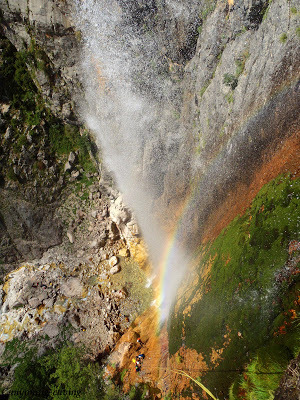 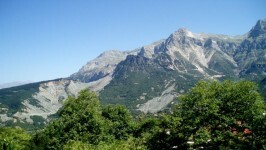 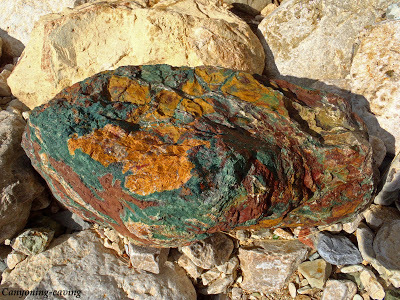 Its fountains are under the Gerakovouni summit (2210m), which belongs to the Tzoumerka Mountains. 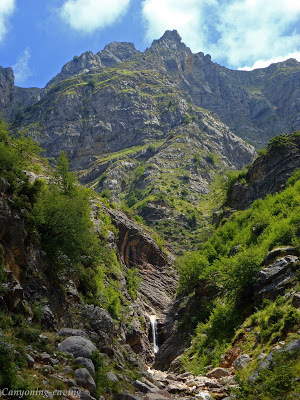 It’s 100m long and one of the most impressive waterfalls in Greece, especially beautiful in springtime when there’s more water. 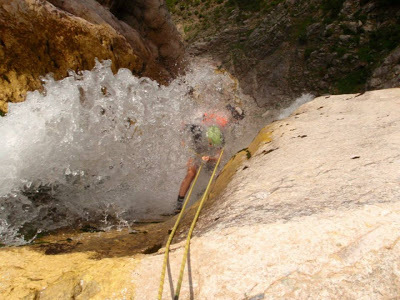 The canyoning proceeds as follows: 15m rappel to cross to the other side of the waterfall which leads to a small platform, from where a 40m canyoning begins which leads to another larger platform. 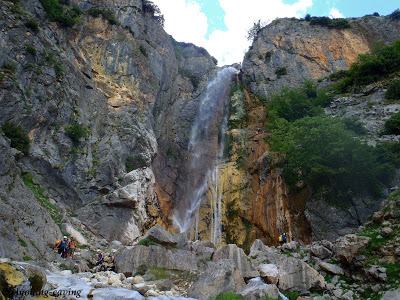 Then, the route continues for another 50m to reach the base of the waterfall. 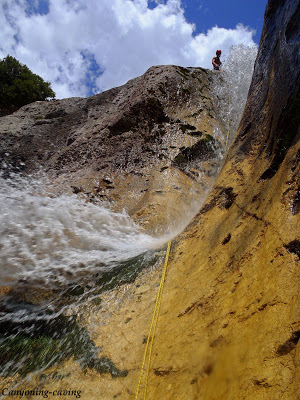 The 40m and 50m canyoning takes place on the right side of the waterfall as we look at it from the ground and outside the water. 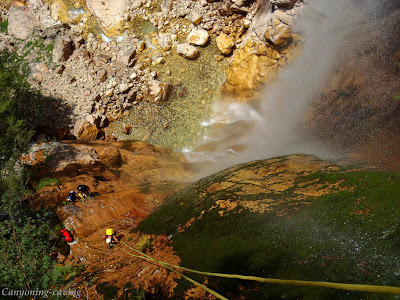 The pictures below are from a canyoning in July 2013, with G. Andreou in charge.